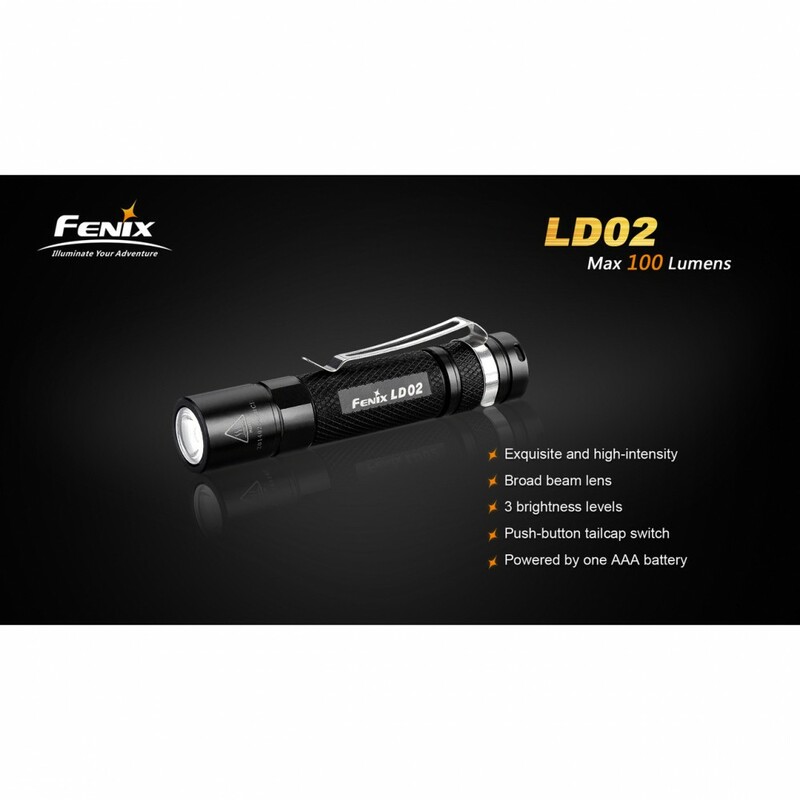 The LD02 is the only AAA-powered flashlight in Fenix’s legendary LD series. 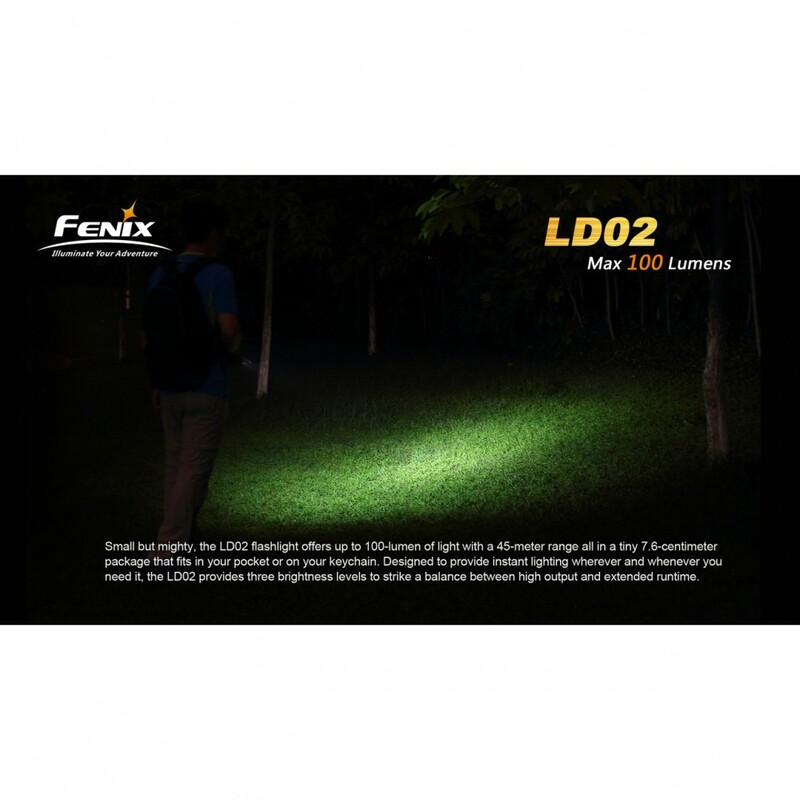 Its compact powersource makes for a compact device that can go with you anywhere you need it. 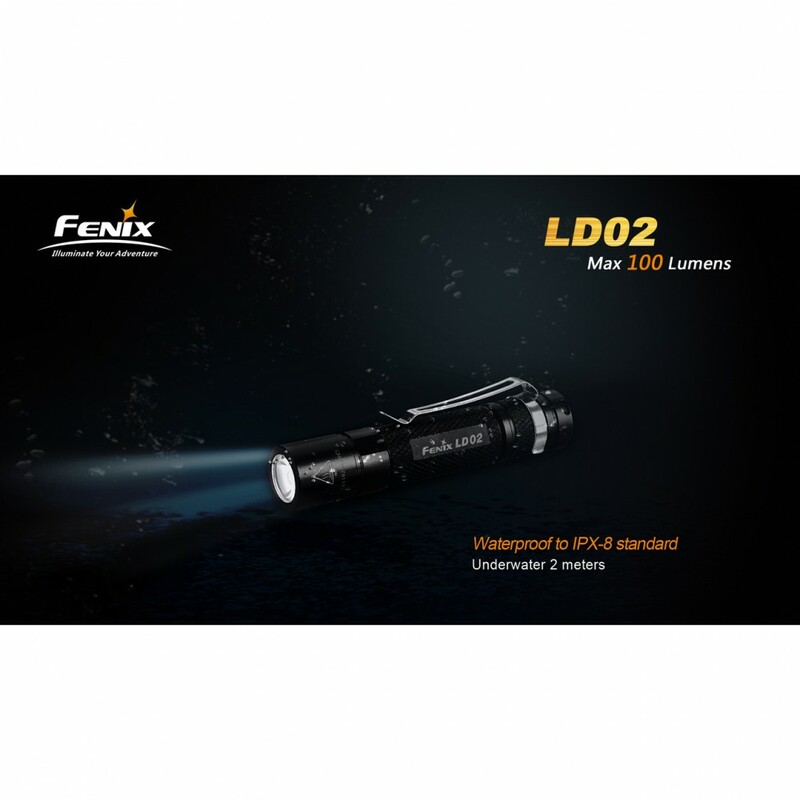 Whether you’re hiking through the back country or navigating the urban jungle, you’re sure to be in countless situations where a powerful flashlight will get you out of a jam. 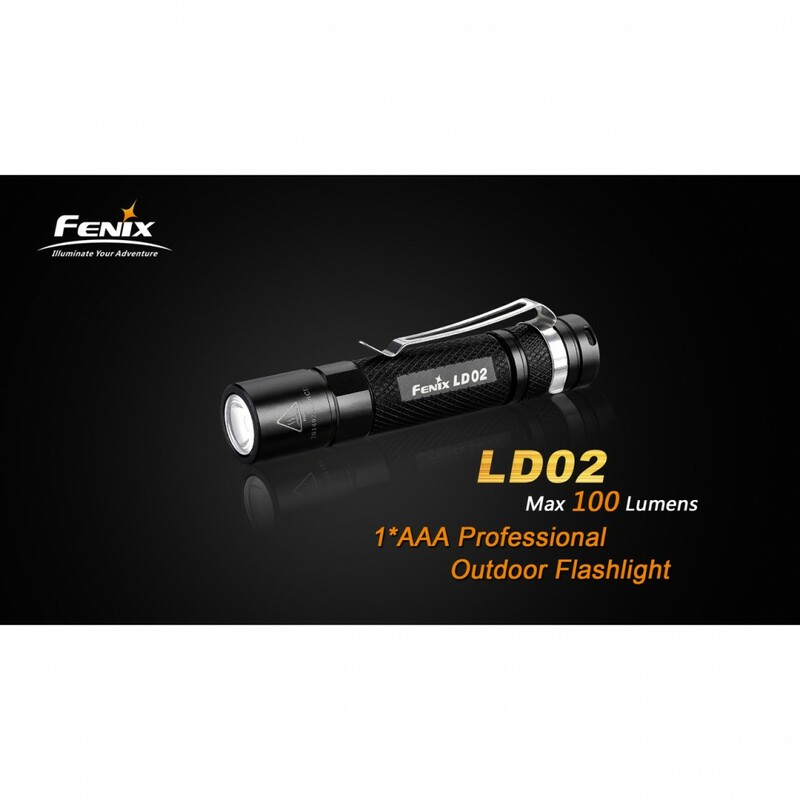 Ultra-tough construction nensures you can rely on this light when you need it most. 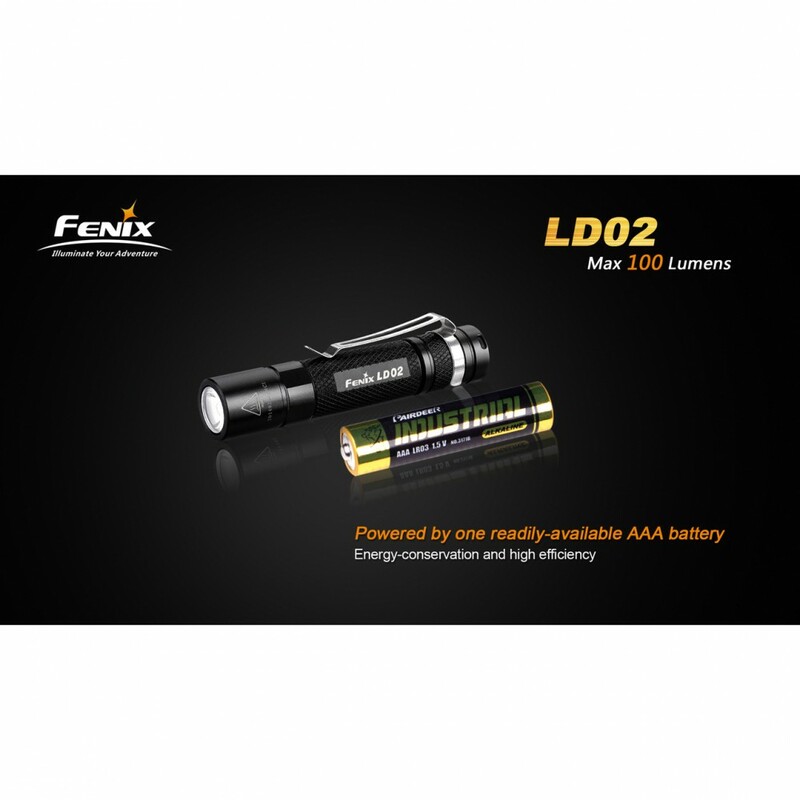 Fenix appreciates the appeal of readily available batteries. AAA’s are easy to find, inexpensive, and can often be harvested from other devices you may have lying around your house. 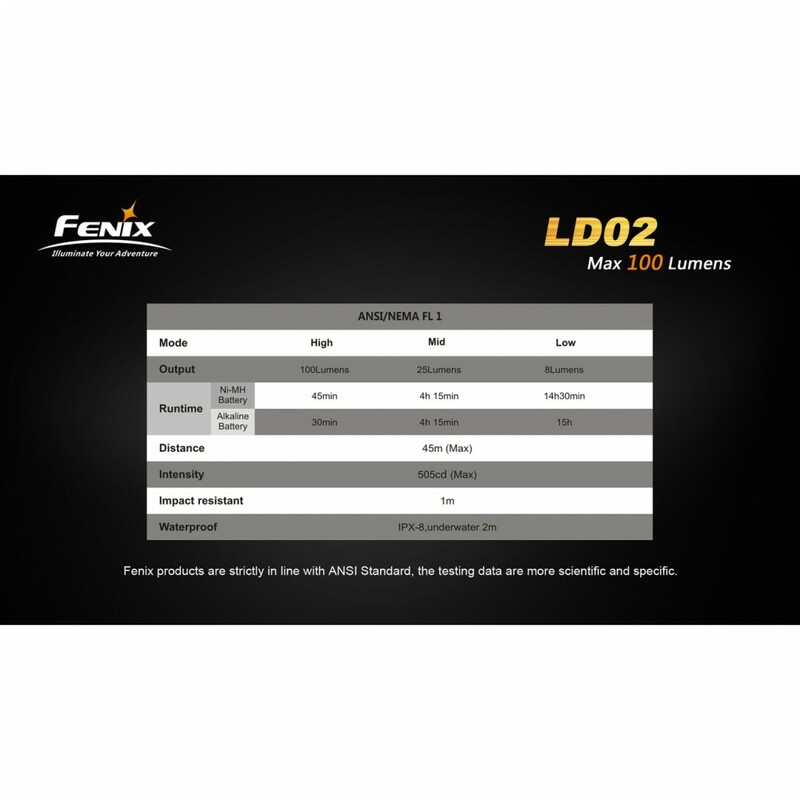 All of this adds a certain level of comfort for many users, knowing they’ll never be without a compatible battery when they need power the most. The problem with most AAA devices is that they have to sacrifice outputs for the use of a convenient cell. 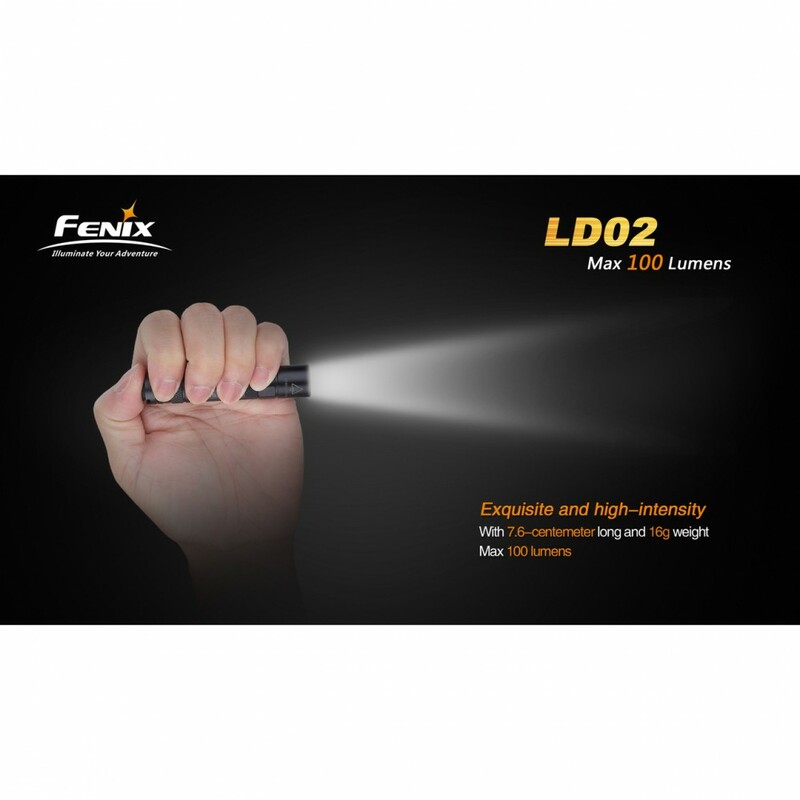 Thankfully, Fenix worked hard to squeeze 100 lumens from the LD02! 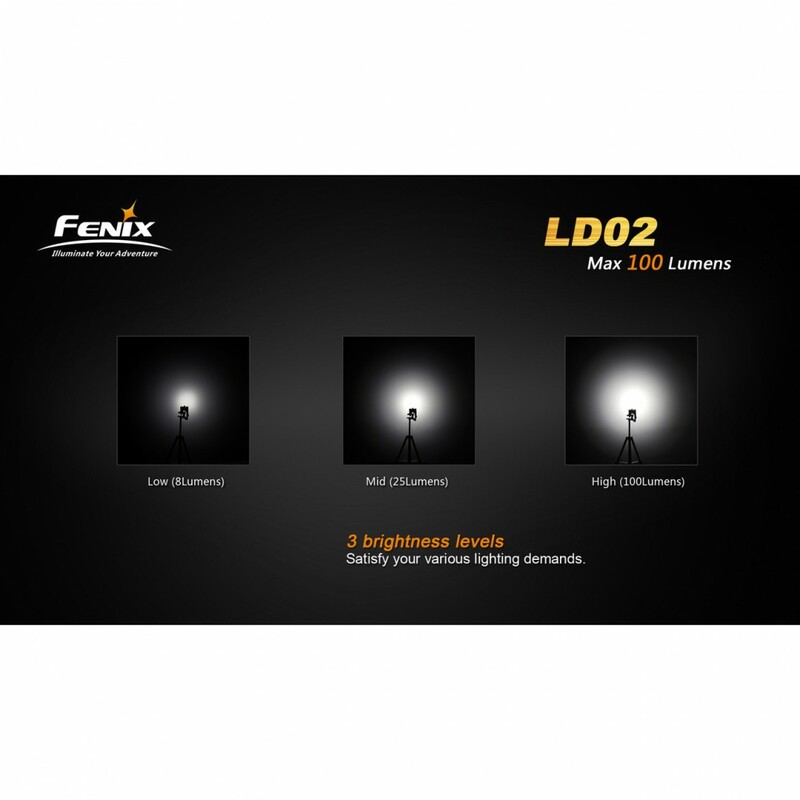 That’[s plenty of illumination for all of your everyday tasks . 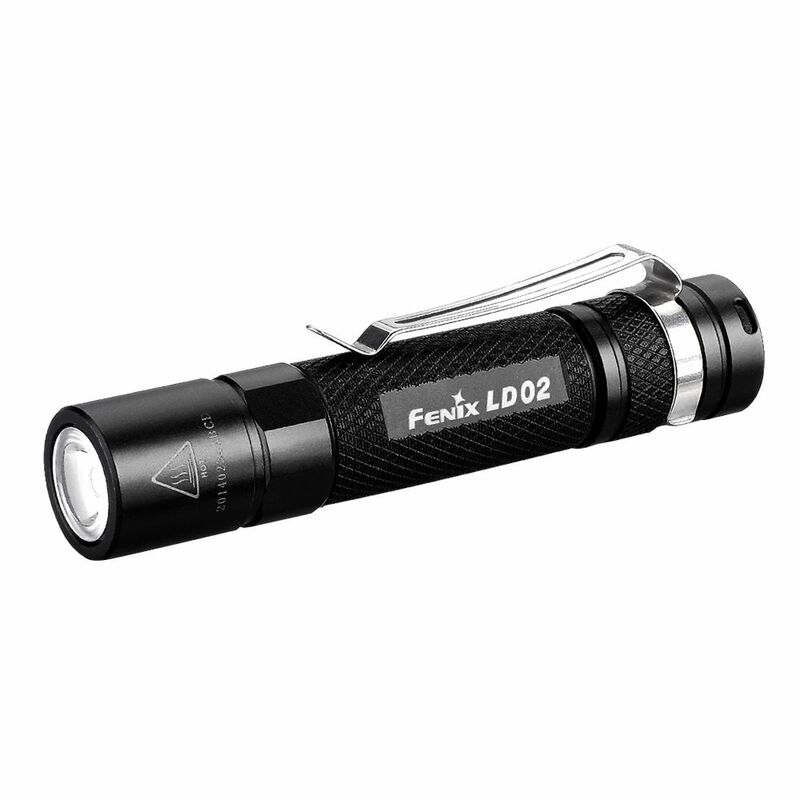 Every day carry flashlights can also be awkward or uncomfortable to use. 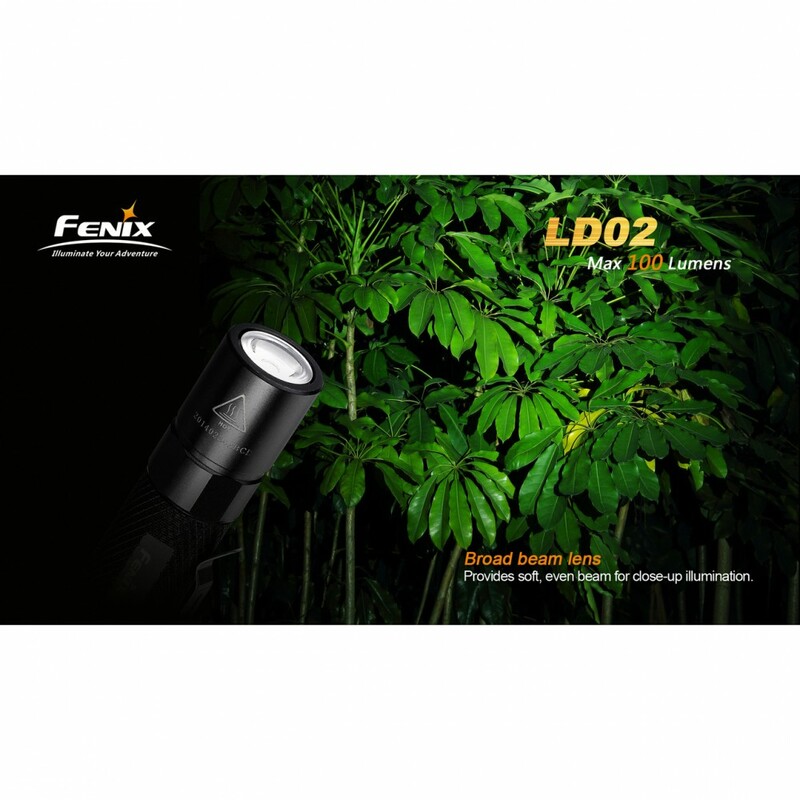 The LD02, avoids that problem with a classic single-button tail-switch for operation and mode selection. 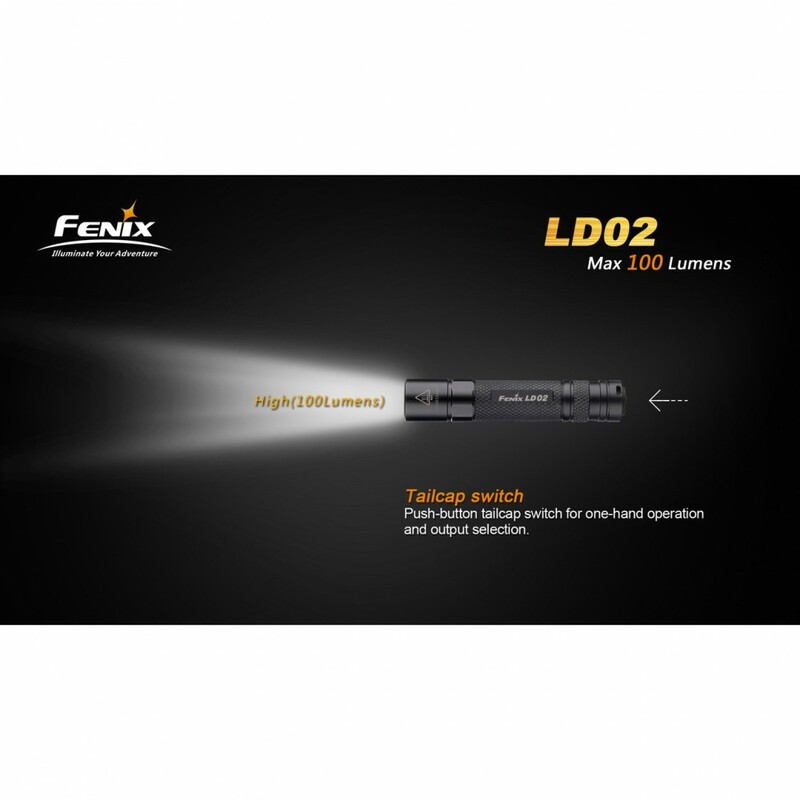 When the light is turned on, half-presses to the switch cycle through three output modes for easy selection.